Partner of the Football Association of Thailand (FA Thailand) and Thai League to manage their respective commercial properties. 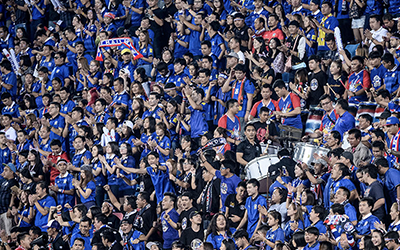 FA Thailand, together with Thai League, are the sole proprietor of all professional football competitions in Thailand, and thus provide PLANB with the opportunity to offer commercial opportunities to interested clients. Under PLANB management, assets available for commercialization vary from broadcasting, ticketing, statistics to sponsorship, offering a diverse range of business possibilities. Some of the assets are included in sponsorship package. Brands can choose to sponsor each one of the sponsorship platforms; Thai National Football teams, Thai League and Cup competitions, while some of our existing clients sponsor all three platforms to maximize their marketing opportunity. Not only will help create a window for brand awareness, but will open doors to various tools that can help brands engage with consumers. Apart from the rights to various brand visibility, both on and off the pitch, other sponsorship entitlements provide brands with much more customized tools and channels such as image rights, footage rights, tie-in contents, TV spots, and additional OOH media.